I’m a pro shopper, but even the best need a little help every once in a while. Each of the people below posted something that, when I saw it, I just had to have. I’m sharing so that maybe you’ll feel the same way and we can be #influenced together. When Katie Sturino of The 12ish Style talks, I listen. And not only because I have no choice (no one has mastered the speedy redial faster than she has), but because she knows what she’s talking about. And she’s often talking about Biologique Recherche’s Lotion P50. I bought it a few years ago, and I haven’t looked back. It’s expensive, it smells bad, it’s perfect. Preston Konrad not only has an enviable Instagram feed, he has an enviable apartment (from what I’ve seen on his feed). And when I saw him post an Overose Candle, I was running to my laptop to shop. It combined everything I like about candles into one perfect specimen: a high price (I know, I know), a cool vessel, and a fab smell. Meghan Donovan not only has great taste, she’s also super nice. And not only is she super nice, she’s super in touch with her emotions (and is able to talk about them intelligently - two things I wish I could do better!). She posted the 5 Minute Journal and it was like she was speaking directly to me. An easy-to-follow routine that promised to help with my anxiety, gratitude and general well-being? Yes please. Grace Atwood knows a thing or two about beauty. And fashion. And food. And travel. 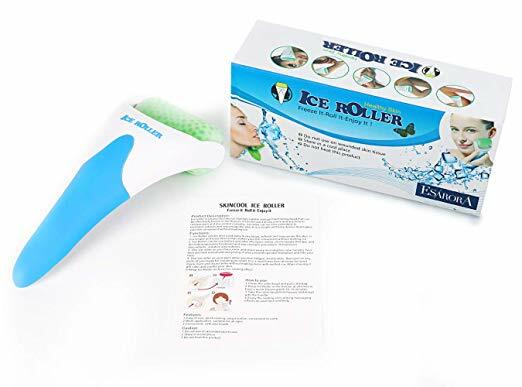 And when she posted her review of this super affordable ice roller? I was DOWN. How can something that’s only $12 do so much? Well, I’ll let you know when I get the roller tomorrow. What are your favorite products you learned about from a blog or Instagram?